The Awake in the Wild Experience (AWE) is a mindfulness in nature art installation and outdoor happening. AWE invites participants to cultivate a deeper connection to the natural world in their cities and neighborhoods. Conceived of by artist Sara Overton, AWE is inspired by the book Awake in the Wild by mindfulness teacher and wilderness guide Mark Coleman. Visitors will use the nature meditations adapted from Awake in the Wild to engage all senses with nature, inviting a deeper connection with the natural world. For Los Angeles, Venice landscape architect Pamela Palmer is developing the garden for AWE. In New York City, Brooklyn landscape architect Tricia Martin and WE Design | WE Build will create the AWE garden. The Awake in the Wild Experience (AWE) is a mindfulness in nature art installation and outdoor experience. AWE brings participants into intimate connection with the natural world through nature-inspired contemplations both indoors in a landscaped garden in a gallery and outdoors in neighborhood greenspaces. Participants engage all senses with nature by touching a blade of grass, contemplating the sounds of a waterfall, looking at a small patch of the landscape for five minutes, or enjoying the scent of a blooming flower. AWE is inspired by the book Awake in the Wild by mindfulness teacher Mark Coleman, who will be present to lead some of the mindfulness in nature practices. 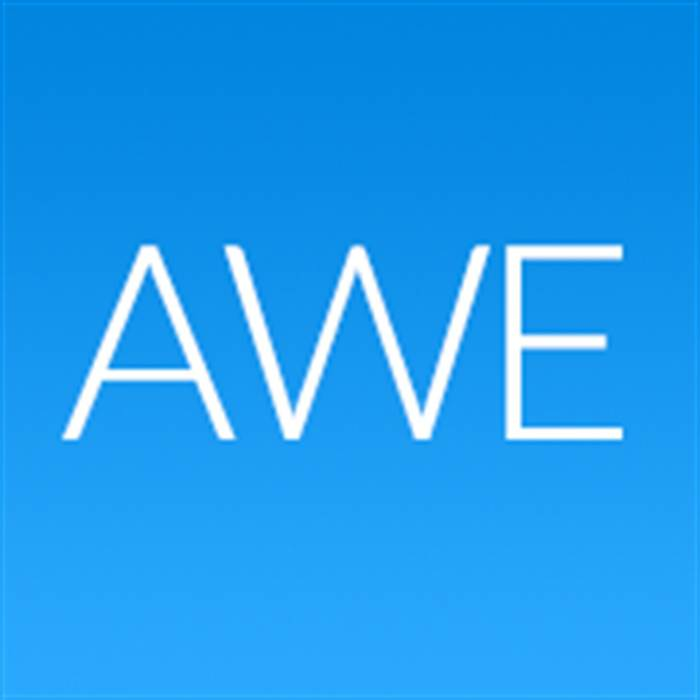 AWE is currently in development for Los Angeles and New York City. For the AWE art installation, participants walk into a fully landscaped gallery designed by a landscape architect. AWE will bring the outdoors in --- into the quieter, more framed environment of a gallery or courtyard which provides a more focused setting to connectwith nature and where the meditations can help inspire more ease and confidence in the natural world. AWE goes outdoors to neighborhoods and communities in the city. Participants will experience nature in their neighborhoods with new eyes --- connecting with the flora and fauna of their own place by touching tall grasses in a neighborhood park, noticing the scent of lavender in a community garden, or quietly regarding the sun dappling leaves of trees on a local street. The meditations will also be available for online audio download, making AWE available anywhere, anytime. AWE will have an active social media presence where people can discuss their experience with AWE and offer photos, stories or poems inspired by nature and the AWE practices. Kids are an exciting part of AWE. Today, children’s access to nature is often far less than that of previous generations --- and kids are spending 90 percent of their time indoors, according to the Children and Nature Network. AWE offers kids the chance to develop a love of nature. We will have an active children’s program where kids can learn the mindfulness exercises in the installation and outdoors. We will also partner with schools where children will plant and nurture seeds for the installation. The practices profoundly awaken one's connection with nature. As more people look for ways to unplug from technology, AWE offers a dynamic possibility: to learn to plug back into nature mindfully, locally, and anytime, anywhere. For those who already enjoy nature, AWE offers a new way to experience the gifts of the natural world with increased connection and joy. AWE invites participants to experience a deeper relationship to nature, to art, and to the best aspects of themselves which nature often inspires. With that awareness, suddenly the tree one passes daily becomes a miracle, and the habit of distraction becomes one of connection, joy, and commitment to caring for the natural world more deeply.